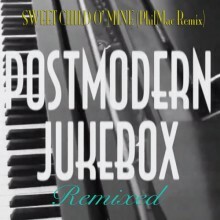 Phil Mac has been working with viral YouTube sensations Postmodern Jukebox on a remix of their incredible take on the classic Sweet Child O’ Mine. With the incredible Miche Baden on vocals, Scott Bradlee has his crew turned this 80s classic into a new orleans jazz interpretation. Phil Mac takes it to the dancefloor with this energy building smasher! Postmodern Jukebox have over 100 million views on YouTube with their ability to bend hit songs into other genres from ragtime to soul and have seen 2014 have seen them take to the road with sold out shows across the US and Europe.